Logan Simpson is known for our commitment to sustainable design–from the restoration of natural areas to sustainable stormwater management. We recently worked with the McCormick Ranch Homeowner’s Association and the City of Scottsdale, Arizona to design the Via de Ventura Landscape Improvements. 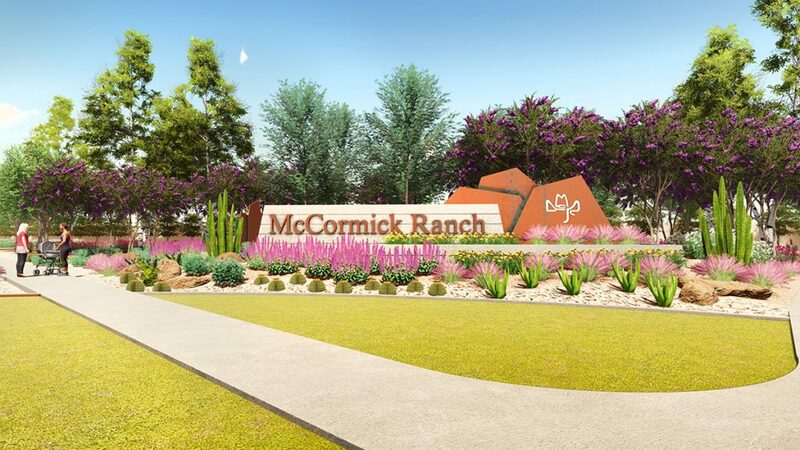 This 1.25-mile project is helping McCormick Ranch and the City achieve their goals of reduced maintenance, water conservation, and a greater commitment to sustainability. 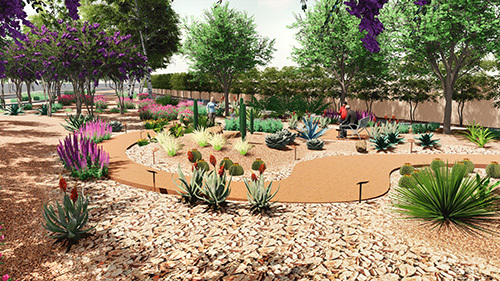 Building on the 2016 McCormick Ranch Landscape Master Plan prepared by Logan Simpson, the improvements will create a lush, cohesive streetscape character that strengthens community identity, provides shade along sidewalks, and conserves an estimated 11.2 million gallons of water a year by replacing turf with sustainable desert-adapted plants. A new entry monument at the southwest corner of Via de Ventura and Eastwood Road will be surrounded by a small botanical garden. The 35 varieties of plants it will contain will be identified with botanical signs so residents can learn about which plants were used to convert what was once turf to a more sustainable, desert-adapted palette. The project is slated to break ground in early 2019. The project was featured in the November 2018 edition of the Arizona Chapter of the American Public Works Association newsletter.